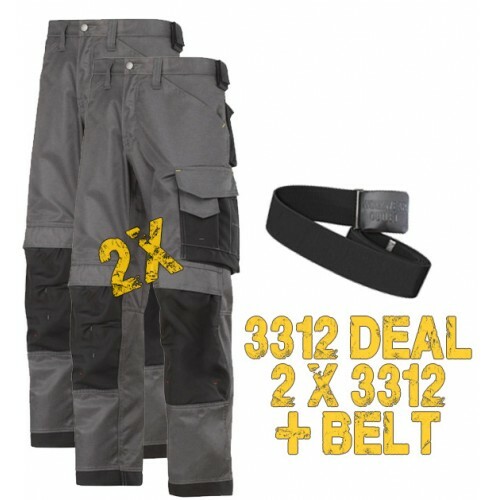 Brief Description of the Snickers Trousers 3312 Duratwill. 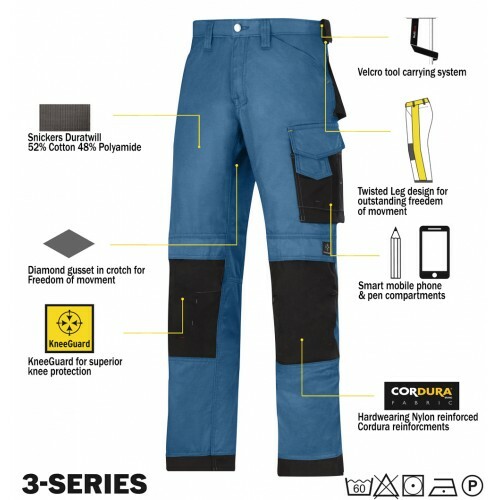 Features an advanced cut with Twisted Leg™ design, Cordura reinforcements for extra durability and Velcro tool fasteners. Plus, a range of pockets, and angled phone compartment.